In Gujarat, ActionAid and Janvikas have been working, since 2007, with nearly 8000 poor and marginalised families who were displaced during the communal riots of 2002 and have remained deprived of their rights, living in ‘relief colonies’. Rahimabaag is a relief colony in Anand district in which live 100 families. Before, there was no proper road and during the monsoon and there was a serious problem of water logging. Children found it difficult to go to school and the place became a breeding ground for mosquitoes. Rehana is a member of the women’s group formed by ActionAid and Janvikas to develop women’s leadership for raising their issues with the administration and making their voices heard. 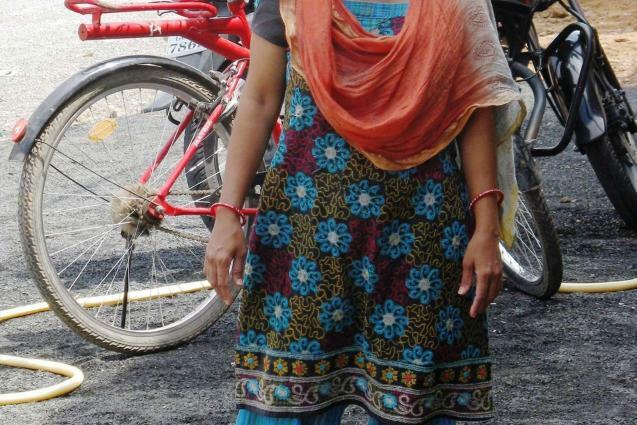 She has 3 children and her husband is a rickshaw driver. Without a road they were facing major problems in commuting as auto rickshaws and vehicles could not reach inside their colony. Their children faced difficulties in going to school during the rainy season, as the colony gets flooded with water.